A favorite local trio of musicians “Just By Chance” will be the feature at the Friday, June 26th Music on the Square Concert Series at Central Square downtown Rochester. “Just By Chance” is a trio featuring local musicians Bill Cormier on vocals and guitar, Peter Marston on bass, and Rick Sessler on drums. Their array of popular tunes always keeps the toes tapping for those in attendance. 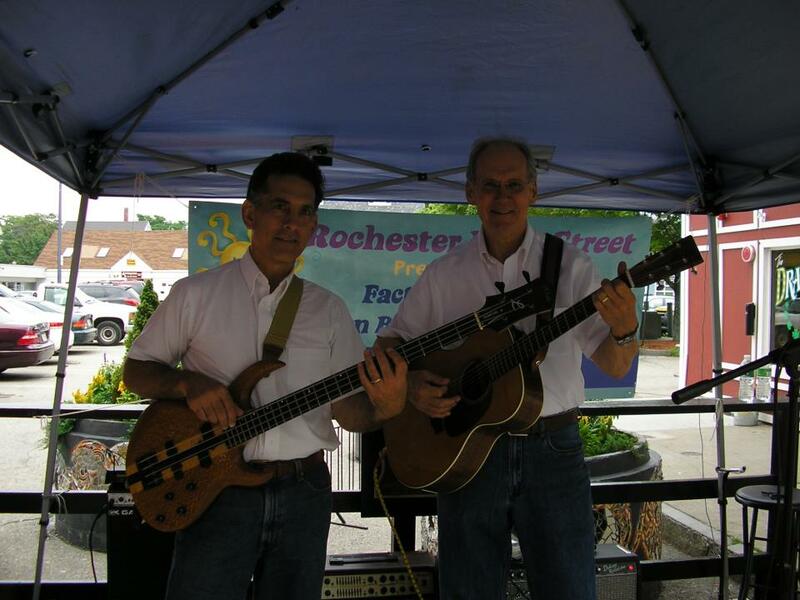 Sponsored by Federal Savings and a grant from the NH State Council On The Arts, the Music On The Square Concerts are held on Fridays through August 26, from 11:45 am until 1:30 pm. Concert goers are asked to “bring a chair and buy or bring a lunch” to enjoy a musical performance in the heart of downtown Rochester. Canopies are erected among the flowers in this park to provide shade for the concert attendees. In case of inclement weather the concerts are canceled. Free parking nearby is available at the City Hall, Union, and Congress Street Parking lots. For more information please contact the Rochester Main Street office by calling 603-330-3208 or email director@rochestermainstreet.org.